Mesh material allows water to pass easily through the sling, making it an ideal choice for showering or bathing. Arjohuntleigh Mesh Loop Sling with Head Support. 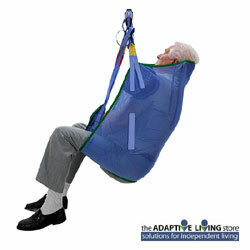 General purpose loop slings provide good comfort and support for everyday resident/patient handling routines, such as bed and chair related transfers. Mesh material allows water to pass easily through the sling, making it an ideal choice for showering or bathing. 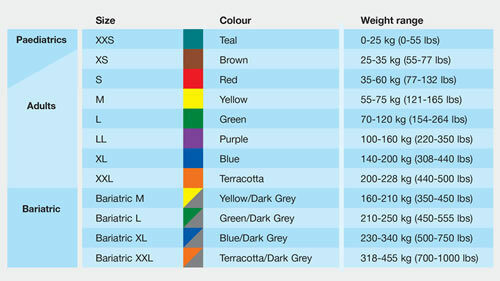 It comes in four different sizes S-XL with a Safe Working Load of 272 kg/600 lbs.